Are you as ready for fall as I am? I don't know what it is, the weather or my insatiable lust for all things spooky and Halloween-y. I'm just so ready for warm knitted sweaters, cute boots and coming home from the cold to cuddle up on the couch with a blanket and a cup of tea. 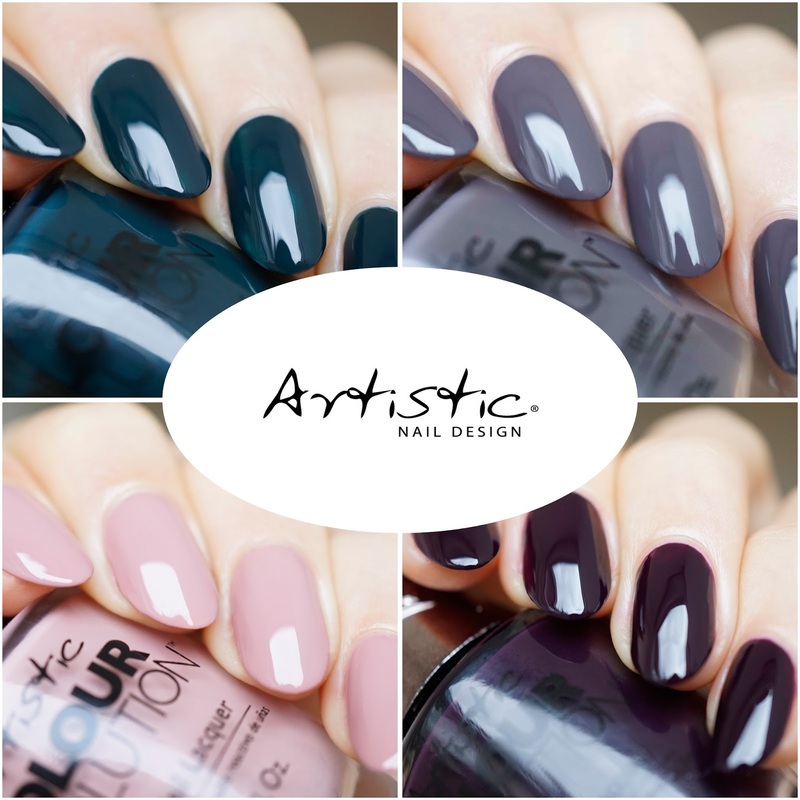 Even my taste in color is drifting towards the moodier fall/winter shades so this new Fueled and Furious collection from Artistic Nail Design is firing up my engine and pushing me into overdrive! There are 6 shades in the collection and I swatched the 4 creme shades for you. All of these polishes are smooth, shiny, easy to apply and remove and just downright gorgeous. Plus they come with a wide brush that makes it really easy to get those nice crisp lines at the cuticle. Remember, all of them are available both in gel (called Color Gloss) and regular air drying polish (called Color Revolution). Enough stalling! Let's get to the pics! Get your overalls out because you haven't seen anything more dusty and fitting for fall than Grease Monkey. I'd describe it as a dark grey with brownish undertones and it fires off a spark for me that I was unaware of. Something about it is just so perfect! 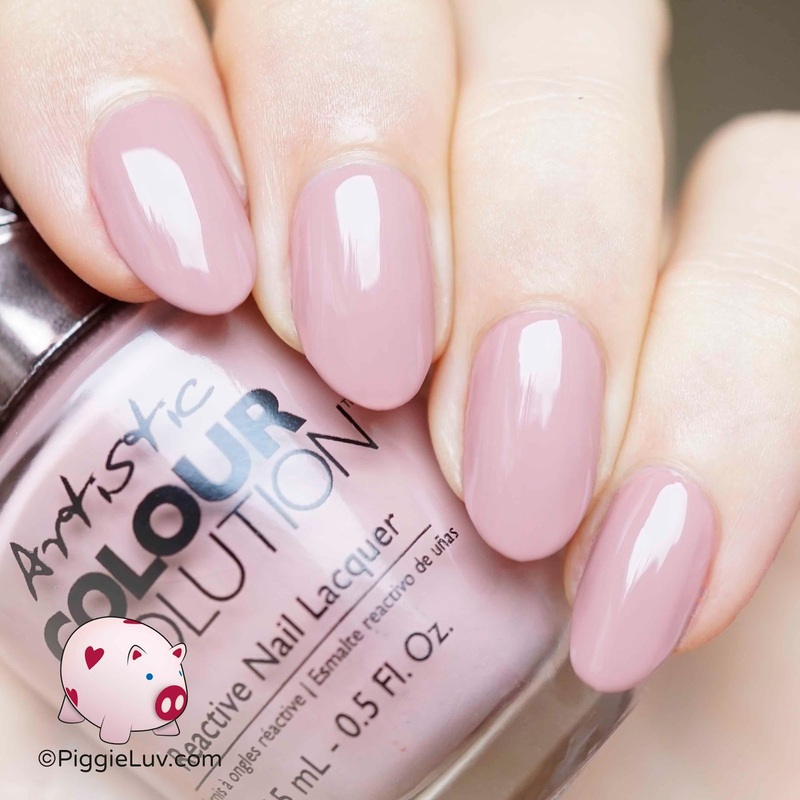 It's a creamy polish that covers in 2 coats and feels easy to apply. Dry time is excellent for all 4 polishes and cleanup was a lot easier than I would have expected from a dark shade! 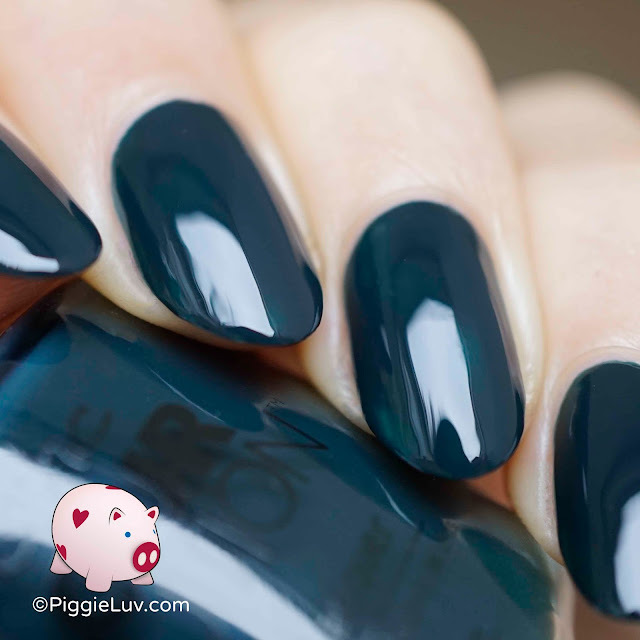 This polish is a Heart Braker (yes that's spelled correctly), and it's very interesting. 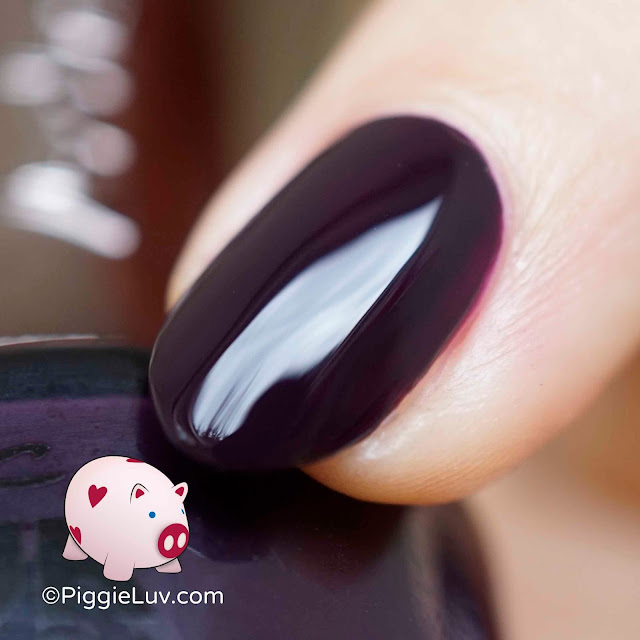 While applying, it's more eggplant but when it reaches opacity, it takes on a very dark appearance. It took 2 coats but it *can* be tricky so you might need an additional thin coat to patch up any lighter spots. You'd probably expect some staining after removal but I didn't experience any. It has my chassis humming! Let's switch gears for a moment to Radiate My Love for this old rose pink! It's very smooth and pretty opaque too. It took me 2 coats to reach full opacity and they went on ever so smoothly. The shade makes me feel... aged, but classy. It does kind of steer in a different direction than this darker collection yet still goes well with it! Skid to a stop right here and watch me Torque It! Somewhere underneath it's a emerald kind of teal, but it's really a dark shade. Oh so dark. The formula is runny but not in an annoying way, it just means that it's thin. It only takes 2 coats for opacity though it might not seem like it after applying the first coat. Hang in there, it'll all be alright! And did I mention it's really dark? Aaaand that's all of them! Are you as tickled as I am? Those dark shades, ahh be still my heart! If you are rearing to get them for yourself, you might want to pay a visit to the Artistic Nail Design website. Also check them out on Facebook, Twitter, YouTube and Instagram for the newest news on shades, awesome inspiration and more! Thanks so much for watching, reading and mayyyybe even commenting. Until next time!